By 1825 scattered settlement was taking place in the Gundaroo valley and surrounding areas but it was not until May 1829 that a feature survey of this village was made by Robert Dixon. It should be remembered that until 1825 the Governor of NSW ruled the state as an autocracy. In 1825 a Legislative Council was elected and a little more control over what happened in rural NSW took place. and squatter pastoralists sent their flocks to unclaimed Crown Land. Dr Robert Townson of Minto could be called the first squatter in the area and was the first to press for a considerable number of claims on land around Gundaroo, Murrumbateman, Gunning, Breadalbane and Collector in 1820. A huge amount of land on which he squatted. In 1827 James Richard Styles was the first of the new settlers to be an authorised occupant of a large area of land (1920 acres) to which he quickly added extensive purchases to form what became known as the “Tallagandra” station. Other allocations were made but none as large as the Styles property. Donald Macleod was given a free grant of 2000 acres in Nov 1825 but did not make a selection of the land of his choice until Jan 1830. Around the late 1820’s Patrick Dyce made a selection and was granted 1280 acres on the banks of the Yass river which he called “Tillygrieg”. This property is about 4 Km on the road back to Canberra and is still owned by the Dyce family. Such was the manner in which the area was developing with unauthorised settlers being forced off “their” ground by decrees from the new found authorities in Sydney who had little idea of the territory they were making jurisdiction overuncil was appointed by the Governor to advise him on various matters. So authority over land dealings in NSW was totally in the hands of the Governor until 1842 when the Legislative Council was partly elected and took on a little more control. Having made the point that the jurisdiction over land was less than satisfactory in Sydney you could imagine the rough and ready state of affairs in the bush. To put this into perspective you must remember that the colony was still in its infancy. If you cast your mind back to these days when there was little in the way of authority in the area, roads were little more than the rough tracks over which the first drays passed, there were no maps of course, the population was extremely sparse and directions as to the location of their destination was given by travellers who had only been in the district for weeks or possibly months. Doctors were many hours or days away over rough tracks. Misadventure had no respect for the status of people and wealthy landowners and the poorest labourer could die as the result of an overturned buggy or a fall from a horse. Travel over these tracks was extremely slow. One description of travel from Sydney to Queanbeyan in 1856 stated that it took 3 weeks to travel the mainly unmade “road” at a calculated speed of 3 MPH! 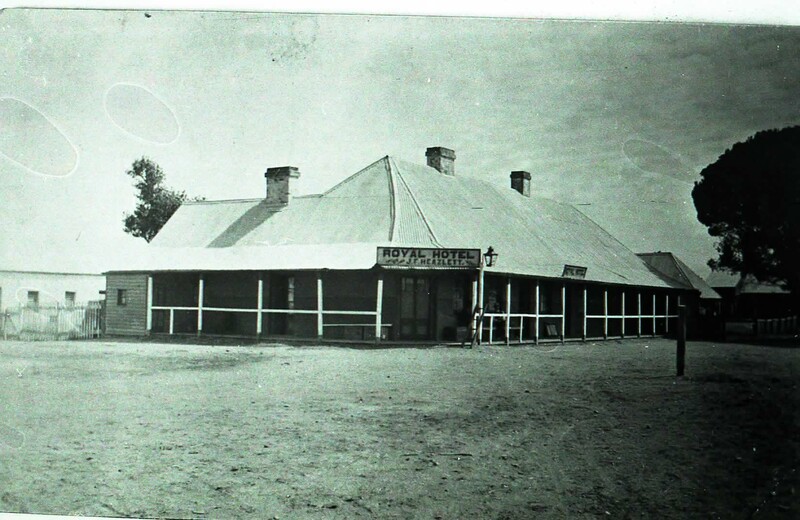 Development of facilities was slowly taking place and in true Aussie style one of the first substantial buildings in the Gundaroo district was the “Harrow Inn” on what is now Cork St on the site of the vegetable farm on the edge of the village. Built of locally made brick by William Jackson, this establishment was licensed on 17 June 1834. The inn did very well, being the only licensed premises in the district and thus the meeting place for many. Jackson died suddenly in mysterious circumstances in September 1837. It was suggested that he was murdered and his body dumped in the river behind the hotel. Of course there were no resources or police at all then to investigate such unsavoury propositions. It was not much later when the “Travellers Home” was opened in 1840 at what was then termed Upper Gundaroo or Sittingbourne. There was much contention as to whether development should take place at Gundaroo where it exists now or at Upper Gundaroo around 4 km back towards Canberra on the Shingle Hill road. A new Anglican church (St Lukes) had been built at Upper Gundaroo. This is now a pottery of some renown. This building was also going to serve as a school. When it was opened on 9 May 1850 it seemingly gave Upper Gundaroo a boost to its claims as the site of the new village. It should be remembered that in those days Roman Catholics and Protestants were not on the friendliest of terms. When the school opened in 1850 there were a good number of students available to attend the Church of England school. By 1856 however the number had dwindled to 3 or 4 and the school had to close as the majority of school age children were then mainly Roman Catholics. So as the fortunes of both sites ebbed and flowed the need for a decision was becoming an important issue. 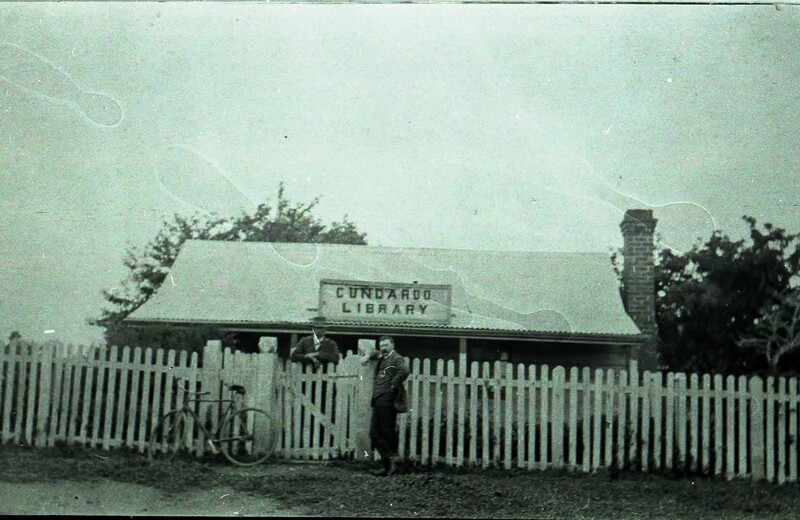 In 1860 the only buildings in Gundaroo were the Caledonia store, the lock up and the Old Harrow Inn. William Affleck, a prominent citizen in the formation of Gundaroo started agitating for the post office to be located in the village, a state school to be established, a church (Presbyterian) to be built and the Marked Tree Rd to be the recognised route from Goulburn to Queanbeyan. This would ensure that the mail came directly to Gundaroo and more traffic would come through the new village and hopefully to his shop. Affleck also started the Mutual Improvement Society and Loyal Faithful Friend Lodge to assist Gundaroo with “intellectual improvement”. Around 1895 William Affleck presented the village with a small weatherboard cottage for the use of the above societies and also to be used as a library, now known as the Literary Institute. Due to the efforts of the Afflecks, Charles Alphonse Massey and Hugh Vallance the village we know went ahead. Others were involved of course but these three seemed to be the main activists at the time. A school, a church and several more commercial and residential buildings were erected in Gundaroo by the end of the 1860’s. Upper Gundaroo was suffering as a result of the expansion of Gundaroo at the official village site and never again achieved the level of activity it enjoyed in the 1850’s and early 60’s. St Lukes church is the only structure remaining which indicates the location of Upper Gundaroo. Gundaroo has been fortunate in retaining many of the early buildings which helps it to retain a uniquely historic atmosphere. It is not too long ago that there were many slab huts in this street which have been knocked down in the name of progress. There are still a few in town and we will make every effort to retain them. oops sorry I meant to type Great, Great, Great Grandfather! HI Leanne Thanks for your query. We are a very small Historical Society , aiming to preserve whatever history we can collect . Much of our research is reliant on a boot about the history of Gundaroo published by Errol Lea Scarlett in the 70’s. I will look through that and see what I can find. I am not aware of Caseys Way, can you tell me where this is. I will get back to you with anything else I can find.